Home sweet home – Foundry Street! 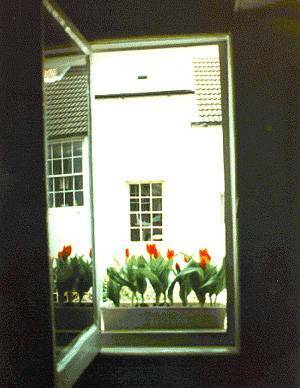 This is looking from the landing window of our house, across the 24ft space to the landing window of Queens Gardens. Just found the site today and finding it fascinating. Happened across this photo from Dave Sawyer’s tour of 19 Foundry Street and this rang a bell. I’ve been researching my family history (hence I came across the site), and 19 Foundry Street is where my great great grandfather’s brother lived in the 1881 census. I’ve now traced the family back to about 1817 in Brighton, mainly in the North Laine area, and am keen to gain and share information on the area. Would Dave be interested to know about the family that lived in his house and/or does he know anything about its previous occupants? I’ve just discovered that my great great grandparents Frederick Philp and Edith Stoner lived next door at 18 Foundry Street in 1907 just before they got married.